10 Day IFR Course | PIC Aviation Services, Inc. The instructor will travel to your location. He brings with him an FAA-approved simulator and a copy of our proven training curriculum. The course is an organized combination of ground school, simulator work, and flight training in your airplane. Each segment builds on the previous one. You train every day for a solid eight hours, so there is no wasted time because of breaks in training or lack of a specific plan or schedule. Located across the country, P.I.C. instructors are exceptionally well-qualified IFR pilots and patient, experienced instructors. They average over 8,300 flight hours, and most important, each is a dedicated teacher. This is a state-of-the-art digital simulator. It is designed to represent your avionics whether that is a glass or analog instrument panel. The instructor will set the simulator up in a convenient location (home/office/motel). In addition to the training sessions, you’ll also have unlimited use of it for practice during the course. You’ll train using a copy of our dedicated curriculum that was designed by P.I.C. specifically for this course. We know what you need to know to be a safe and confident instrument pilot and our curriculum is the essence of just that. At the conclusion of the course you’ll take a simulated flight test from your P.I.C. instructor, then the actual flight test from a local designated examiner. 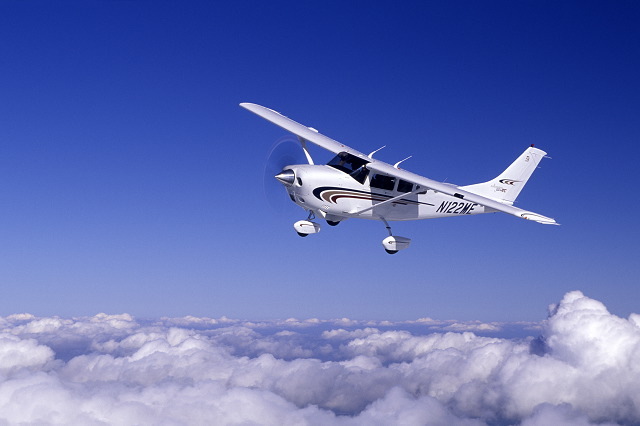 You can be filing IFR next month – not next year! Call P.I.C. now, 1-800-435-9437 (1-800-I-FLY-IFR) or use the Contact Us page. Some of our graduates began their training somewhere else and have put in some serious training time, but just couldn’t seem to get the rating completed. Maybe your instructor’s schedule conflicts with yours or his lack of experience is making the training inefficient. Whatever the reason P.I.C. can tailor a program to meet your particular level of IFR experience. The program consists of a comprehensive review of all instrument procedures and maneuvers, with our Instructor allowing you to progress at your own pace. This assures that any gaps in your previous training will be covered. The goal of the program is to make you a safe and competent instrument pilot. We won’t skip anything or assume a level of IFR knowledge. Most pilots will finish-up in 3 to 7 days. Give us a call and we’ll review what you’ve done in the past and give you an estimate as to the training required to finish the rating. Use the Contact Us page or call us at 1-800-435-9437 (1-800-I-FLY-IFR). You can become a proficient and confident instrument pilot in just 10 days because P.I.C. is the expert when it comes to accelerated instrument training. It’s been our specialty since 1980, and we take pride in doing it well. And we come to you. Whether you plan to fly hard IFR, or just go through an occasional overcast, you deserve the best training available. You need the knowledge and skill required to fly safely and comfortably in the system. You can take advantage of a planned curriculum. You will learn easily and thoroughly with the P.I.C. Program. The course is an organized combination of ground school, simulator work (the instructor brings one with him) and flight training in the airplane you normally fly. Each segment builds on the previous one. Since there are no gaps in the training there is no time wasted trying to figure out “what did we do last time?”. The Program is carefully structured so you learn efficiently and can apply it to your own flying. Don’t be fooled by people who say they are suspicious of intensive training. Professional pilots, military and civilian, train on a full time basis. And for good reason. You learn faster and retain more of what you learn. The fact is, not many instructors are available to devote themselves entirely to you for a ten day period. Your P.I.C. instructor will be dedicated to your training, without interruption for other activities. Located across the country, P.I.C. instructors are exceptionally well-qualified pilots and patient, experienced instructors. They average over 8,300 flight hours, and most important, each is a dedicated teacher. There are ten’s of thousands of CFII’s in the U. S. and annually fewer then one in seven actually signs off a student for the instrument rating. Our P.I.C. instructors average 14 graduates yearly. Imagine the difference in the quality and efficiency of the training you will receive with this kind of top-notch instructor. If you’re an average pilot, you can have your instrument rating in just ten days. From start to finish. If you’ve already started your training, you may do it in even fewer days. You will train for eight hours a day. And since you are training full-time, you won’t waste time re-learning what you’ve forgotten since the last lesson. You can learn the material in just ten days because it’s well organized and you’ll have a professional instructor. You can avoid the inconvenience of being away from home when you train with P.I.C. Unlike other programs, we come to you. You can learn in a familiar environment, where you’ll be using the rating most, and on your own schedule. If you need to, you can plan time for business or personal matters between training sessions. You will save money when you train with P.I.C. Because portions of your instruction utilize a simulator, you’ll save on flight time and fuel. During your ten days of training, you can expect to fly an average of just 27 hours, compared to the national average of 65 hours. Plus, you will learn more easily because a simulator isn’t noisy, you can repeat a procedure quickly, and you can stop the lesson to ask a question. The simulator will give you skills that transfer directly to your flying. Without any wasted time. Professional Instrument Courses is the expert when it comes to accelerated instrument flight training. We train more instrument pilots than anyone else. Thousands of pilots from all fifty states have become instrument rated with P.I.C. Since 1980 the program has been proven to work, and to work very well. Get the finest instrument training available anywhere. Without having to leave home. And in just ten days. P.I.C. offers several options for preparing for the FAA Instrument Pilot Knowledge Test. To determine your best choice, speak with one of our Training Counselors at 1-800-435-9437 (1-800-I-FLY-IFR). Contact Us. YOU CAN BE RATED BY THIS TIME NEXT MONTH – NOT NEXT YEAR! At the end of the course, you’ll be well-prepared for the oral and flight exams. You’ll have the confidence of knowing that you have had the best training possible. Graduates say that P.I.C.’s Instrument Flight Training Program gives you the highest quality and convenience. It repays the time you invest with the security that you really know what you’re doing. For complete information, or to reserve your spot on the schedule, call us today toll-free:1-800-435-9437 (1-800-I-FLY-IFR). Or go to the Contact Us page. You’ll be surprised how convenient and economical P.I.C. training can be.